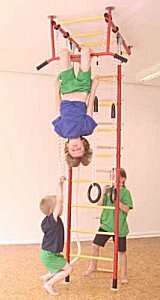 Home sport equipment for Children completely differently. On smallest area the largest variety. 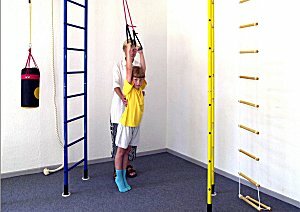 Whether in the children's room, sport area finds or in the fitness room, the climbing jungle finf always place. With sport, play and fun unconsciously, the parts are an excellent training of all groups of muscles, particularly in the spinal column, takes place basin and belly range. For long winter evenings or raininf days - chlidren have the possibility to play, to do sport and... not only for a one time show. 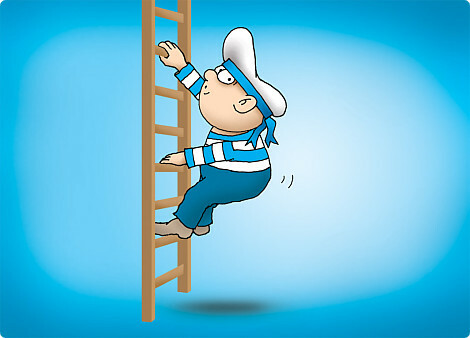 Trust their imagination and creativity, you will surprised !